Want To Go See This Business? Then Sign the NDA by Clicking HERE. 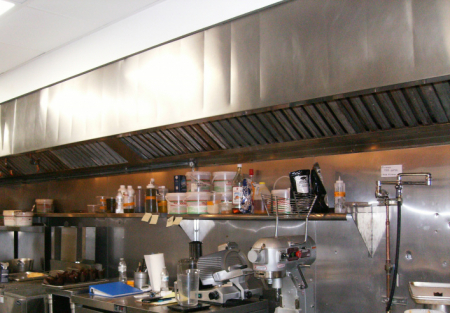 This commercial kitchen is located on the west side of LA in a Beach Community. Currently operating as a Specialty Bakery supplying product to a few businesses. This kitchen with its 24' HOOD has more than enough cooking area to accommodate a food caterers needs as well. The stainless steel walls and epoxy floors make for easy cleaning and there is a separate office and dishwashing area. There is a 8'X10' walk in refrigerator and 6'X10' freezer to hold plenty of product as well as reach in coolers in Kitchen area. Equipped with the finest of appliances including Hobart Mixer, Large Dough Mixer, 4 Burner stove with oven, Blodgett Convection Oven, Baxter Cart Oven, Deep Fryer and much more. There is ample space under hood to add more cooking equipment as well. An Office is located near the back door for monitoring the deliveries and the coming and going of customers. The back door entrance leads to area with 2 parking spaces for easy entry and exit when customers come to pick up or you are filling your delivery vehicles. Located on a major street gives easy access to the local area and a quick drive to the freeway. This facility is currently open and in operations, to arrange a tour please contact SellingRestaurants.com Agent.